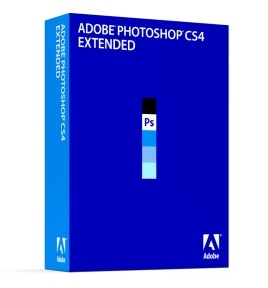 CS4 Is Now Available For Instant Download! The recently launched Creative Suite 4 is the culmination of twenty-five years of collective product excellence from the development teams at Adobe® and Macromedia®… CS4 is a comprehensive, highly-integrated design environment built of best-of-breed applications. The Creative Suite 4 family has been fully released and is now available for immediate purchase and download. To find out more and get the latest tools, select your desired product for more information. From these pages you can also learn more about all the new features and functions, plus instantly receive your software or a fully-functional 30-day free trial. UPDATE: Special Limited Time Offer – Save up to 30% on your Adobe purchase! Delivering major performance improvements, a fully unified interface with seamless integration, and radical workflow breakthroughs that bring down walls – and packed with hundreds of new feature innovations – the CS4 product line is a milestone release of the industry-leading design and development software that advances the creative process across print, web, mobile, interactive, audio, video and film production. With new levels of productivity and expressiveness throughout, Adobe’s most compelling release to date gives you powerful cross-media technologies that have the ability to elevate products, brands and ideas above the clutter. Enjoy unprecedented choice among editions and stand-alone applications, with six suites plus full version upgrades of thirteen point products, and local language support spanning thirty different countries*. Whether you need to produce printed brochures, captivating websites, rich interactive experiences, engaging mobile content, or stories told through motion and sound, find the perfect mode of expression with Adobe Creative Suite 4. JUST OUT: New independent research shows CS4 up to twice as fast as CS3 for getting your work done. See also the CS4 Overview, or our recent look at the different suite editions. * Direct upgrades are possible from CS3, CS2, CS, and any version of Studio.